The Wei River has an important and brilliant history. However, due to the loss of transport function, river disasters and decreasing water quality, the river has lost its liveliness. It has been neglected for many years but will play an important role in the future development of the region. 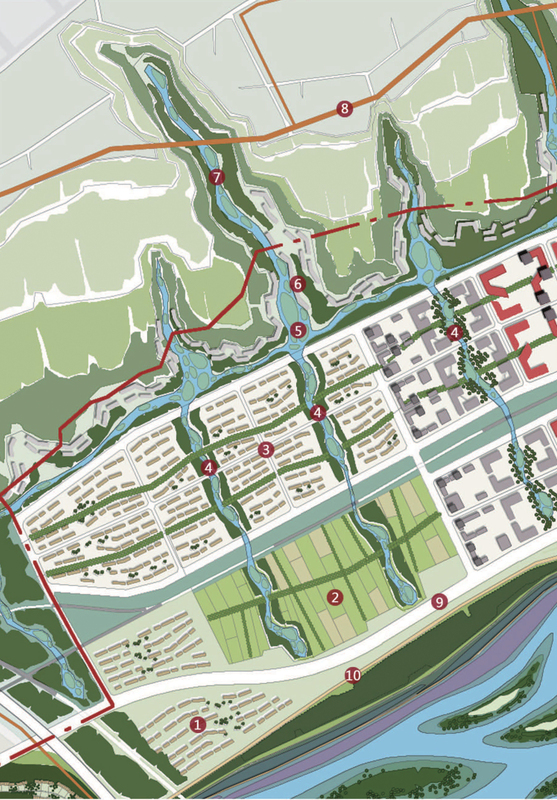 The aim is to return the liveliness to the river, the cities and the people. Many water management techniques are utilized to increase river security, health and create various landscape and urban morphologies. Particular characteristics in different sections of the river and built upon, as well as the symbioses between river sections and surrounding areas, to create specific river-city-industry identities. 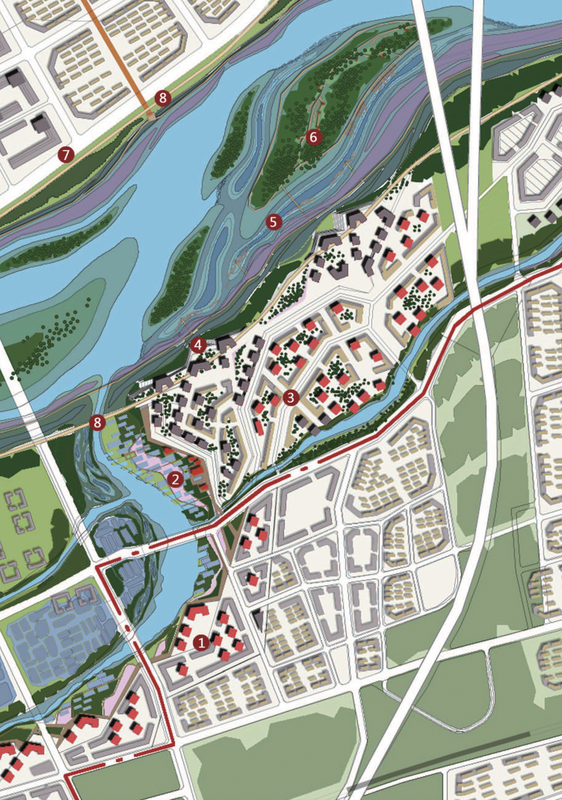 While emphasizing different identities, the river and river bank as a whole system is never neglected. 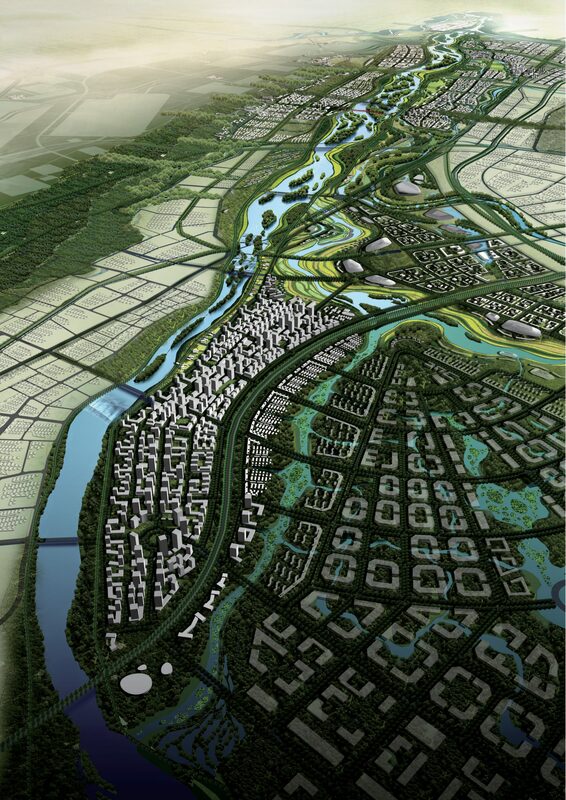 The river will form the green corridor through the metropolis – a front garden for the city.